Deckard Heating & Air Conditioning is proud to serve the Huntersville community! About Huntersville, NC - Happy to be your hometown Heating & Air Conditioning Contractor! 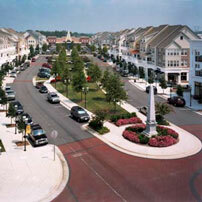 Located in Mecklenburg County, North Carolina, Huntersville is a Charlotte suburb with a population of nearly 47,000 people. In terms of population, Huntersville is the 19th largest city in the state, and it is situated approximately 12 miles north of Charlotte’s downtown area. The community is served by the Charlotte-Mecklenburg School District, and teenagers attend Hough High School, North Mecklenburg High School, or Hopewell High School. There is also a campus of Central Piedmont Community College located here off of Statesville Road. Outdoor recreation is popular in Huntersville due to the city’s proximity to Lake Norman and Mountain Island Lake. Both lakes attract water skiers and boaters from several of the surrounding states. There are several golf courses located in the city, as well, including NorthStone Country Club, Birkdale Golf Course, and Skybrook Golf Club. Nature can also be enjoyed when checking out some of the animals at the Carolina Raptor Center or watching the sheep dog trials at Historical Rural Hill, both of which call Huntersville home. Many visitors also enjoy a trip to Huntersville during the fall, as the Carolina Renaissance Festival is held every weekend in October and November. This festival is one of the largest Renaissance festivals in the U.S., and it brought in nearly 190,000 visitors in 2013. Guests enjoy stage shows, live music, jousting tournaments, archery, and costumed characters. The weather of Huntersville varies quite dramatically from the winter and summer seasons. Summers are very hot and humid, and July is the warmest month. Without a reliable air conditioner, Huntersville residents would be quite uncomfortable, and the harsh weather conditions could pose a danger to children and older adults. Winters, on the other hand, are often cool with light snow, but an efficient home heating system can help to keep interior conditions comfortable during these months.